You choose the amount of beeswax you need. 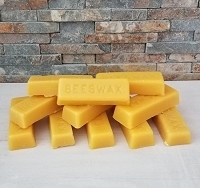 We make beeswax in 1 oz., 2 oz., 4 oz., 8 oz. and 1 pound beeswax blocks. 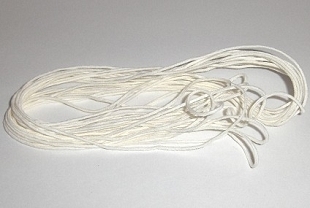 We also offer bulk beeswax. 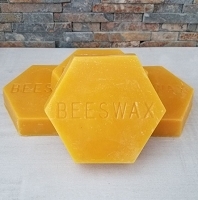 Our beeswax is 100% pure beeswax that has been filtered twice and ready to use for candle making, crafts, sewing, quilting, woodworking, archery, lotion supplies, fly fishing, bee candle wax, hair dreadlocks, etc. If you are using beeswax in food preparation, the easiest way to work with beeswax is to put the beeswax into the freezer for a few hours and then grate it. 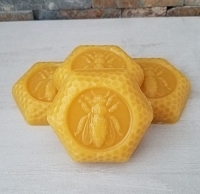 You'll notice some of the beeswax includes free shipping (this has the cost of shipping included in the price) and is for folks that are buying only beeswax and nothing else. The items with shipping included also helps folks who live in HI, AK, etc. 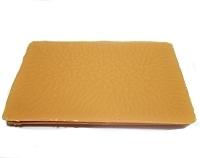 You can see if the beeswax with free shipping is a better deal for you. 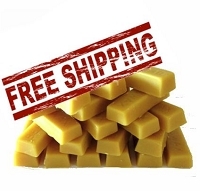 Simply place the beeswax without free shipping into the shopping cart, enter your shipping zip code, then compare the cost on a per pound basis which is best for you. 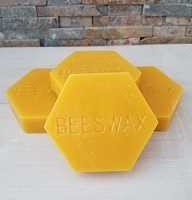 If you are buying additional products in addition to beeswax, it's less expensive to buy the beeswax without free shipping. 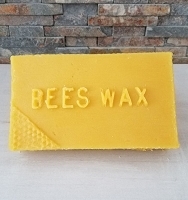 This is 100% pure natural beeswax! Did you know that stores, etc. can sell beeswax mixed with another type of wax and still call it beeswax. As long as it contains 51% beeswax, these stores can call it beeswax. Our beeswax is 100% pure beeswax. Beeswax should feel tacky not greasy at all. Read More About Beeswax and How Bees Make It. 50 - 1 lb. blocks of beeswax.